– DNA Info, July 14 2014. 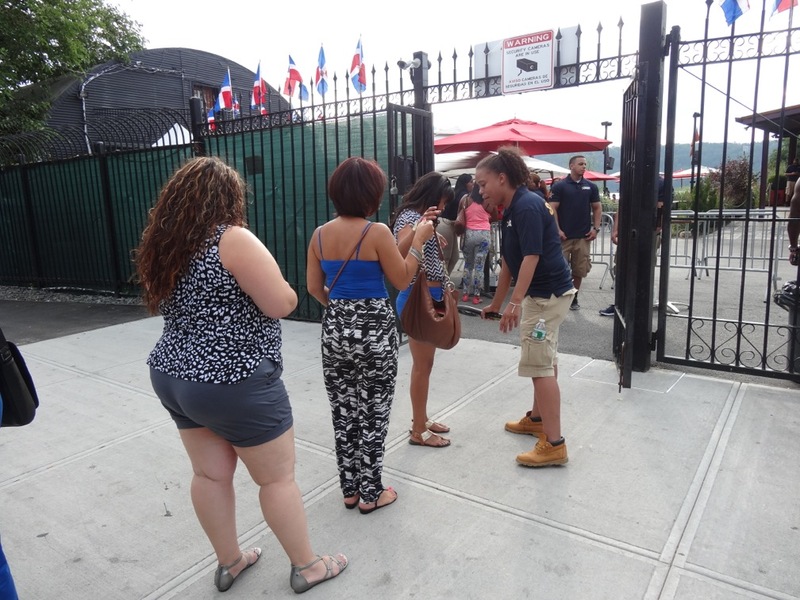 On July 13th, at 11:45 pm, a patron shot a security guard in the neck on the terrace of the concession following an altercation. The guard survived but the shooter escaped and is at large. Click here for the video of the aftermath. Per its license agreement, the facility should have closed at 11 pm but was instead open to 1 am with DJ’s performing, as has been custom since opening in July 2012. Despite being an example of gun violence, and technically attempted murder, on city parkland, during a time it should not have been open, while acting as a nightclub it is not supposed to be, there were no statements by Parks nor by the concession operators. Or by any of the many elected officials who have been involved with the concession. The police released only minimal facts. Why wasn’t the exact same statement made about the shooting at the concession? 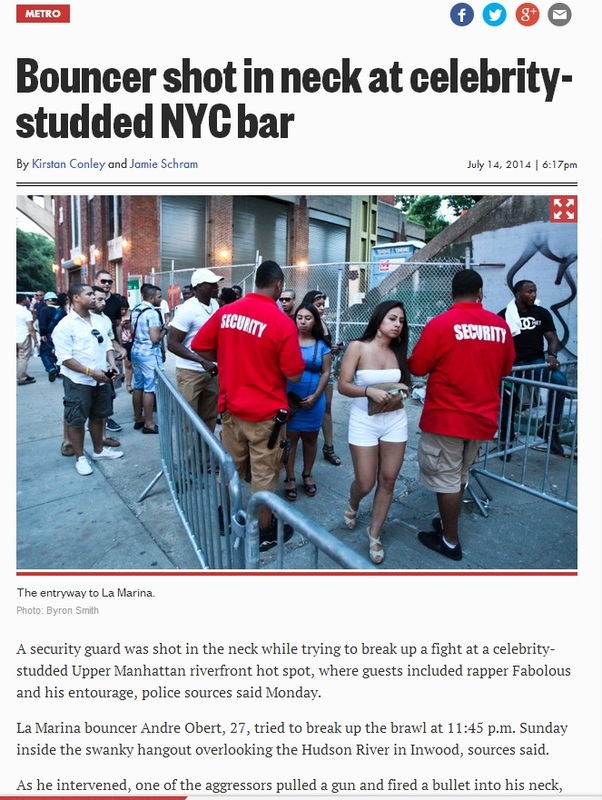 Is there a double standard when it comes to gun violence at Dyckman Marina vs gun violence elsewhere? Was the incident at the park site being downplayed in the public eye because the concession should not have been open past 11 pm or operating as a nightclub in the first place? Bag checks were increased and signs installed at the park gates warning about video surveillance after the shooting incident. Following the shooting, various security measures at the site were “improved”, such as instituting bag checks earlier in the day, prohibiting the wearing of baseball caps, increased use of metal detectors and the installation of more cameras. 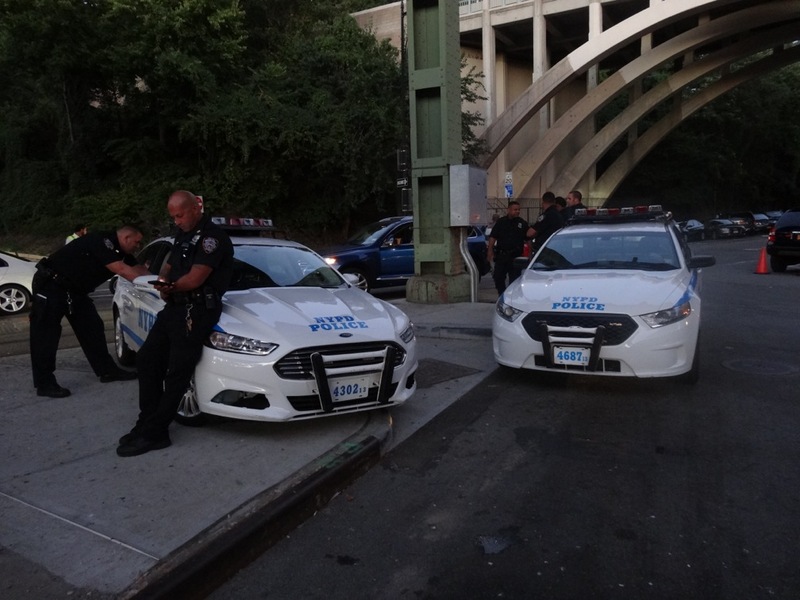 While the NYPD may approve of these measures, did the Parks Department? Why? Is that the appropriate action here? To cover a park gate in WARNING signs and restrict access even further than it already is, rather than just eliminate the unapproved nightlife use and change in hours that caused the situation in the first place? The July shooting was also not the first instance of gun violence being threatened at the concession. Whether the above talk is real or just idle boasts, the relationship between gun violence and alochol is well established. So why are these nightlife uses happening on parkland? Gun violence has increased recently in New York, and the city is now spending $13 million on a program to “prevent shootings before they occur”. Restoring the concession to its originally approved uses of a restaurant and marina costs far less and would greatly reduce the chance of gun violence on the site. Diverting Resources: September 7, 2014. Three NYPD officers were assigned to La Marina on a 6-2:00am tour while as is customary many officers stop by throughout the night. Since June officers have been assigned to the concession on Sunday nights. Categories: Health, Policy, Public Safety | Permalink.